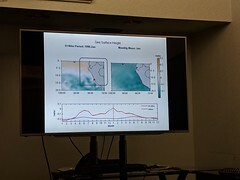 The first meeting of the 2017-2018 year took place at the National Weather Service Jackson Weather Forecast Office. The first meeting of the 2017-2018 AMS/NWA chapter was called to order at 7:17pm by NWA President Eric Carpenter. 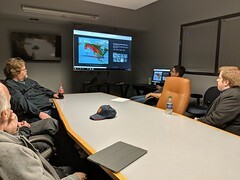 The meeting was held at the National Weather Service operations floor in Flowood, MS.
A sign in sheet was passed around and 24 people were present for the meeting. Minutes were very briefly mentioned but not discussed at length since it was the first meeting of the year. The seventh meeting of the 2016-2017 year took place at the Mississippi Department of Transportation traffic management center in Jackson, MS. The seventh meeting of the 2016-2017 AMS/NWA chapter was called to order at 1:10pm by NWA President Eric Carpenter. 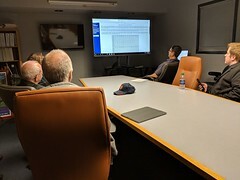 The meeting was held at the Mississippi Department of Transportation in Jackson, MS.
Recording Secretary Joanne Culin recorded those in attendance, with ten people present. Given the meeting location and topic, minutes were not summarized and no other chapter business was discussed.